Dalla Cia - eWine-Your partner for good wines! Dalla Cia is a unique combination of age-old Italian tradition and passion for innovation. It all began in Friuli, northern Italy, in the 1920s where a wine merchant by the name of Vittorio Dalla Cia, acquired a small pot still and started the first Dalla Cia Distillery which grew into one of the biggest producers of Grappa in Italy thanks to product innovation and foresight. Vittorio’s son Giorgio moved to South Africa with his family in 1974. He devoted his experience as a distiller and knowledge as a qualified oenologist to the Meerlust Estate for 25 years pioneering the creation of Bordeaux style blends in South Africa, and starting up the first Grappa Distillery on a South African Wine Estate. 90 years since the opening of their first Distillery, the legend lives on. 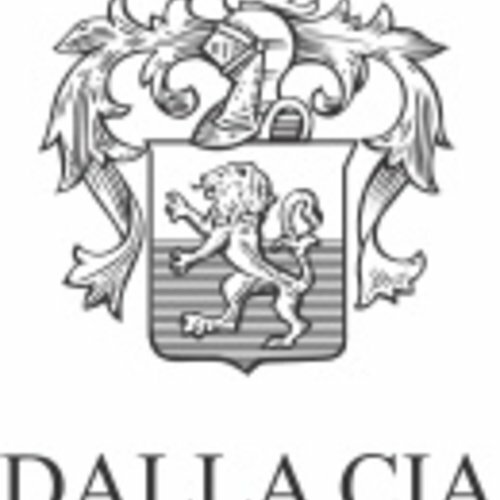 The Dalla Cias opened their third generation Distillery and have become well known not only for authentic Italian style Grappas but also for exceptional quality wines both in South Africa and internationally marketed under the Dalla Cia brand. In 2004, Giorgio’s son George convinced his father into retiring from the Estate and joining him in a new chapter of the Dalla Cia family business. Their distillery found a new home in a small industrial area of Stellenbosch, Bosman’s Crossing. In addition to producing six different wines and four varieties of Grappa, the Dalla Cia’s also run an Italian food and wine bar – Pane E Vino – next door to the distillery, which gives patrons the opportunity to experience the true meaning of Italian hospitality.